The most fun, adventurous and knowledgeable tour guide you will ever find. Costa Rica EZ Travel Adventures prides itself to offer you the best private Costa Rican Tour Guides at Costa Rica National Parks, Private Reserves, Rain Forest, Cloud Forest, Volcanoes, Hot Springs, Beach activities and pure adrenaline tours on the Pacific Golden Coast of Guanacaste. A wide selection of activities provides an excellent choice for your vacation in this beautiful part of Costa Rica. Our team will create the perfect trip for you combined with wild life, nature & the real flavor of the culture for you, your family and friends. Allow us help you to plan your stay in one the most attractive areas of Costa Rica, near by the main attractions and not so far from your new temporary home. The team of Costa Rica EZ Travel Adventures has worked for the last nine years in Costa Rica tourism industry. This extensive experience has given us the opportunity to learn the needs of our customers and become experts in providing the exact Costa Rican adventure that will satisfy even the savviest of travelers. We are happy to go above and beyond for our clients. Living in Guanacaste for over ten years makes it easy for us to show the newcomer the beauty of this country and help them with our Naturalist Guide service to have an unforgettable vacation. We speak three languages fluently: Spanish, English and Norwegian. This makes a big difference when it comes to customer service. Our goal is to provide you with a fast, reliable service and to find adventure of your life here at the: Pura Vida Land. We hope you a wonderful vacation in Costa Rica. You were such a help to my husband and I last week! Just to refresh your memory, we were renting a car from Newman and you told us where the good surf spots were and how to get there. Next time we come back we will call you so that you can come with us and show us the other great places in Costa Rica. Javier you are awesome. You were very knowledgable and so much fun. I hope you enjoy the shorts/pants. Sophia and I want to thank you for so a great time. Anyone that reads this MUST use Javier for any activity and Uncle Charlie for a transfer. To all readers, There were 6 of us and Javier took us out for the entire day. Started at 6AM pick up, breakfast at a great local authentic CostaRican resturant. Then took us to Palos Verde National park and we saw monkeys, crocs, iguanas, several different birds, bats and more. They will see things in the forest you would never know is there. Then lunch, same resturant – great food. Then we decided we wanted to go tubing. They drove us an hour away to a spectacular river. Then found a great spot for pictures of the sunset. It was just amazing. I will post pictures. Once again, thank you so much !!!!!!!!!!!!!! Javier – Thanks for the great time on our river tour, seeing the crocodiles, monkeys…then on to the tubing down the river! Your knowledge of the species of animals was incredible and your communication skills were amazing and refreshing. We had a great time and will definitely contact you when we come back and recommend you to anyone looking for a great tour. Wow…what memories we have from that day, thanks so much! Javier is a great guide with lots of knowledge, and also enthusiastic and full of energy! We went on a 3 day tour and I saw more in those 3 days than the 5 weeks I was in Costa Rica after. We went to Rio Tarcoles to see the crocodiles, Monteverde and Manuel Antonio. We also stopped off at many other places I didn’t know existed, to feed white faced monkeys and Coatis, to see parrots and large cats. He is not only a great guide, but also is interested in getting to know you as a person and have a great time! He is also a fantastic photographer! I would recommend Javier for anybody who wants to make the most out of their stay in Costa Rica. Thank you so much! Javier is the best! He is much more than just a Tour Guide. He is beyond accommodating, extremely knowledgeable about everything Costa Rica has to offer, and just an overall fun and nice guy. As an example of how great he is, my friend’s flight got rerouted to San Jose (instead of Liberia), and he volunteered to go out of his way for many many hours to pick him up. My friend and I spent every day with him – from the day tours and restaurants to going out at night – Javier knew exactly the best thing to do and the best time to do it. The entire day we spent with Javier swimming in waterfalls, hiking around a volcano and waking around the rain forest was one of the best days I’ve experienced in a very long time. My 60 year old parents, my younger brother and his 24 year old friends, as well as my Aunt and Cousins have all spent considerable time with Javier, and we all agree that he made our experiences in Costa Rica much better than they would have been without him. 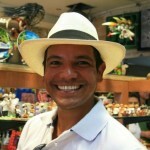 I highly recommend him to anyone visiting to make your Costa Rican experience as memorable and special as it could be. Que pasa amigo!? Mucha gracias for our amazing adventure thoughout Costa Rica. You simply exceeded every expectation we could have had and were a huge part of why we will definitely be returning to Costa Rica again in the future! The Adventure Tour and the tours in the Arenal area were both outstanding and we have about 450 pictures to show for it. Thanks for introducing me to my new best friends too…the white faced coati! As soon as we get the pictures loaded up, we’ll send them along. I hope your visit with you family was all you hoped and we are very much looking forward to hanging out again in the future. Just wanted to thank you again for your kindness in picking me up from my fishing trip on Sunday. Sorry about the million dollar ransome not working out, lol……Will have to check you out on my next trip. Hola! We are still enjoying our trip to Costa Rica but thus far Javier has been a wonderful help. He set us up with a very fun jetski trip and also gave us some pointers on body boarding! Hanging out with someone fluent is always refreshing, especially someone as genuine as Javier. We are already thinking of our next trip to Costa Rica, and we will definitely be involving Javier! Thanks Javier for helping make this such a memorable honeymoon! It was great meeting you. It was much better working with a local Costa Rican than the big hotel. You provided excellent service and made me feel at home in your home. Say hi to the massage therapist for me. She was very professional and sent me on my way to Jaco feeling great!! best tour guide ever! we all miss costa rica a ton and want to go back! we had so much fun there and you taught us so much! TEAK! i miss all those good food places you took us to. i hope everybody books a tour with you! Mil gracias!! por todas tus atenciones, yo todavía no llego a Costarica y ya lo estoy disfrutando, eres un magnífico asesor y AMIGO no cualquiera se toma el tiempo y la dedicación como tú lo has hecho, para planear nuestro viaje. espero verte pronto por allá y …. PURA VIDA MI HERMANO!! You made my family’s trip. We had such a wonderful time! I can’t imagine our time in Costa Rica without you. PURA VIDA COCODRILOS!!!! I truly appreciate the help you ‘ve been giving us since we met!! And thanks for the daytour trip. We saw so much (crocodiles-monkey-national park-amAzing waterfall-..) and had a lot of fun at the same time. Muchas gracias mae..
To the guests of this page, Javier is an interesting person when you want to get to know Costa Rica for he knows what’s in the books but more important, he knows what you won’t find in any book. He also has a lot of contacts which he doesn’t hesitate to share and for example arranged a beautiful boat trip (we saw a lot of different animals) with a friend of him. And when you ‘re planning to go on a trip with him, I can assure you that his everlasting enthousiasm will add a great value to the beauty of costa ricans magnificent nature! A group of us met Javier by accident (or luck) on the second day of our stay in Playa Flamingo and we never looked back. From Volcán Miravalles, to day and night trips to Tamarindo, a sunset in Puntarenas, and a Canopy Tour at Hotel Vista Golfo, the experiences were endless. There just weren’t enough days. Both Uncle Charlie and Javier were there to help with every aspect of our vacation. By week’s end they seemed more like friends than our gracious guides. They are ultra knowledgeable and personable. They really take the time to get to know their clients and are able to customize trips and adventures to every traveler. This is precisely why we are looking forward to spending another week of fun and adventures with them in March 2010! Thank You So Much Javi and Charlito! What a delightful trip Teresita and I had on our trip. You are an amazing guide and have such knowledge of your beautiful country, plus the ability to see the tiniest things hidden out in the wild! You are the best and I’m looking forward to another adventure next year! Hugs to Donas Miriam and Olga!!! I highly recommend him for any adventure travels you may wish to enjoy while in lovely Costa Rica! We will see you again soon Javier, dont forget us!! Thanks for the amazing trip! I had a great time! The videos you took came out awesome. Let me know when you want to come to Canada, i will do you a free tour! Had the opportunity for Javier to take my friend and I for 4 days all around Costa Rica; including Arenal, Monteverde and many more places than I can even begin to remember! What an unforgettable adventure we had! Javier is the most amazing tour guide, though he is so much more than just a tour guide…he takes amazing photographs (and will do so with great enthusiasm! ), he knows more about nature than anyone else (and thus I learned more about Costa Rica this trip than the other 2 times I was here! ), and he is able to take you to places no one else even knows about! 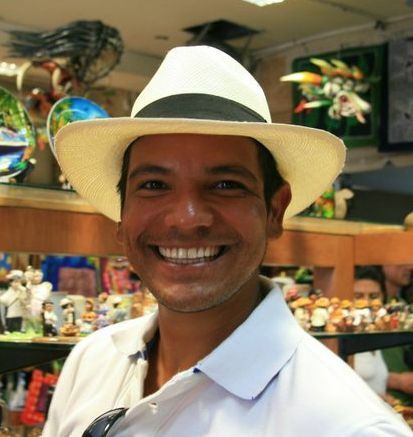 I will definitely be booking Javier again when I am back to Costa Rica just to have the chance to see and learn more about this beautiful country from such a friendly and fun tour guide! Muchas Gracias for all the amazing memories Javier!! Once again, thank you for being an amazing tour guide, for Michael and Myself and for our many guests that we send with you. You are the best and we look forward to using your incredible services again next year. Best of luck with your business during the wet season. See you in November. I’ve had the pleasure of knowing Javier for over a year now and what can I say…he is without question the best tour guide imaginable, offering one of a kind service to his clients! He has organized trips including white water rafting, waterfalls, rain forests, volcano tours, atv rides, and much more for us. His knowledge of the wildlife in Costa Rica is quite impressive! He really went the extra mile in making us feel right at home and providing us with unforgettable memories from Costa Rica! Gracias por todo Javi! PURA VIDA! Thank you so much for your hospitality when my wife and I were in Costa Rica. Originally, before i met you, i told my wife i was not sure i would come back to Costa Rica for vacation. After meeting you and your uncle, i could see us coming back every year for your excursions. thanks again!! I am so glad I went to the car to get a cigar. I am a true believer in Destiny. When I walked into the bar a simple hello turned into an adventure that most of my friends cannot believe. You took control of our vacation schedule and turned into an experience that non of us will ever forget. As you know I have spent most of my life sailing around the world. You have made me realize that there are so many other exciting things to experience. You have the ability to instill excitement and confidence in the people around you that is contagious. Costa Rica is very lucky to have someone like you represent your wonderful country. I have not had the opportunity to spend such quality time with Wade in a long time. The girls had such a good time. Its hard to believe that you persuaded them to go on the adventure of a life time. They speak of you with love and affection as if you were their own. We are all looking forward to our next adventure with you. The word is out. If you’re going to Costa Rica. You have got to go with Javier. hey, we met you the other night at las brisas beach party, and you told me you had a facebook but i cant find it. send me your facebook info. at the email address above! see you next time we are in Costa Rica! Hi guys, My husband & I will be in La Fortuna at El Buho arriving the evening of the 6th til the 9th. Would love to do the sky trek and then open for suggestions. Need to see the volcano of course. We will be rafting the pacuare the 5 & 6, then to Tortugera village the 9-14. (August). We are staying at budget hotels to save for the fun stuff. Suggestions for touring a bit w/ you in the arenal area would be great along w/ prices. We live in Cozumel and both are quides on a sailing/snorkeling adventure. We are healthy, fun and up for adventure. thanks so much! Thank you so much for all the fun and laughs while we were in Costa Rica – I think you showed us the best places and saved us some dollars! You and Charlie are now our good friends and we hope to see you up here in Phoenix Arizona someday – Keep in touch! Brother, tell me what you need and it’s done. Gracias, y pura vida. I tell you, this is the best guide ever!! He knows the country and the good places where no other tourists are like no one else!! With Javier you will discover the real Costa Rica! He is a great person and a good friend with a lot of knowledge! We will meet again in a couple of years! Been to Costa Rica before, but this trip topped it; all thanks to Javier and Uncle Charlie!! We didn’t know what we missed last time, because you two made us feel so welcome and comfortable with every detail. There seemed to be an instant connection (may have had something to do with that l o n g highway ride ;-), but that’s okay, even that was enjoyable. We came away from this trip having learned so much more about the beautiful country from Javier; he was always there – for everyone! Javier you are a kind young gentleman and I wish you the very best!! We will be back. And we WILL see you again my friend! If you are going to Gaunacaste, I would highly recommend getting in touch with Javier to show you the area. He is knowledgeable, energetic, and so personable. We spent a week with Javier and Uncle Charlie (Carlos) showing us around the area and I have to say that we benefited by their expertise. Javier took 7 buses to get to us at the airport due the the washed out roads and still greeted us with a huge enthusiastic smile. When our ride to Playa Flamingo took far longer due to the road washouts, Javier called his mother to order us pizzas. There was not a moment that he let these obstacles slow him down; he just found a solution. Thank you so much for your care, concern, and attentiveness, Javier. Pura Vida, our dear friend. Robin, John, Tim and I will definitely be back to see you and Uncle Charlie. And, I have not forgotten the Bright Bar for Christmas. Hope you are enjoying some family time. Muchas Gracias! I had an amazing time going to Jaco, Costa Rica. It was amazing. The hike to the Costa Rican caves was incredible! I loved all the wildlife and beautiful Morpho butterflies, not to mention the magnificent caves!!! It was so interesting learning about the caves and repelling down. The Crocodiles were vicious and huge but, so cool to watch. I have never seen a more beautiful bird then the macaws you showed me. Feeding the monkeys was great! They were so funny and cute. I don’t think I have ever learned this much about a country before! Thank you again for thins amazing opportunity! Just wanted to thank you one more time for being such an amazing tour guide (and photographer)! One of the 2 highlights of our trip to Costa Rica was the tour you took us on- from hiking through the rainforest to walking around Miravalles Volcano, it was all wonderful from start to finish! We never felt pressure to hurry and we liked that you allowed us to go at our own pace. You were incredibly patient, nice, and friendly with us the entire time, which we really appreciated. You shared so much of your knowledge and did a lot of “extras” that made the experience even more special for us. Can’t thank you enough—Thank you, Thank you, Thank you!! One regret we had was not having enough extra money on us to give you the kind of tip we felt you deserved 🙁 If you ever need apparel or any other item that can only be purchased in the US, please let us know and we’d be happy to help you obtain it! *If anyone reading this is debating between having Javier vs. another company to give them a tour…. don’t bother wasting your time with anyone else, choose Javier and you won’t be disappointed! This was amazing, you were so much fun and such a great guide. Your English was perfect and I really enjoyed the horseback riding with you and my sister. I highly recommend this to everyone. We were riding horses on the beaches of Costa Rica, went in the forest saw monkeys and so many birds. Only in Costa Rica you could experience this great adventure. Javier is so nice and will treat you the best so I highly recommend Javier when it comes to traveling Costa Rica. was nice we have to do it again!!!! I just remember that you still have some pictures of our trip in costa rica! We went to the forest one day and our camera went out of battery. Then you took all the pictures. Do you still have them on your pc? And could you send them to me? I would love to see them!! You guys are the best. What an awesome time.Your knowledge of the country and the flora and fauna made our excursions especially meaningful.We cannot wait to go back to your beautiful country.We highly recommend you for all tours. What a way to see your beautiful country…Javier and Carlos are the best guides you will find! All of the personal attention you provided for our excursions and activities was the difference between having a tremendous experience and having just your typical tourist deal. EZ Travel Adventures is the only way to see Costa Rica. Thank you Javier for an amazing trip to Arenal, Johnny’s and the zip line, you have an amazing patience with children, my daughters adored you, i think Mikayla had her 1st crush. You pad attention to every detail and made sure everyone from 2yrs to 62 yrs was taken care of, you made our time there very special. We will be back and recommend you to everyone we know, it was truely a pleasure to meet you and share your country with you. I have travelled all over the world and i can say this is one of the best times i have eve had, thanks to your wonderful hospitality, knowledge and kindness. may we meet again! If you have the pleasure of being with Javier you will be very fortunate, he was extremely patient, knowledgeable and kind! wit a large group rangin in ag from 63-2yrs old he took care of eery detail, even special ordering for my picky toddler anew special of tomatos, pickles and Gracious Javier. Pura vida. We experienced one of the most amazing adventures of our life last Sunday. Our trip was to Palo Verde with Javier’s compadre Carlos. Everything that we had been told about this pairs professionalism was true. We talked it up around the Monkey Bar so much that our friends went today along with another family who overheard us. Thankyou again so much for a wonderful day Carlos. Thank you so much for an amazing day Javier, you showed us lots of amazing things and helped us out when brook and brad fell off their horses, you were very easy to get along with and very knowledgable!! We will defintally be coming back and getting in touch with you again!! Thank you so much for everything! YOU ARE AMAZING!! We had a great time, with you and the driver, shopping today! Thank you so much for all your interesting facts and kindness! You are very sweet and patient, especially when Mary Claire and I took 20 minutes looking through shirts on the ground! We recommend Javier to any and everyone! SWEETEST guy in Costa Rica with a KILLER smile! Javier is a fine guide. We met him early on in our vacation at his office – a hammock on the beach. We rode ATVs around all the nearby beaches and saw some howler monkeys and had a great time. Javier did not mind answering any questions we had throughout our trip even if we were not seeing him on that particular day. He was very helpful and knowledgeable. I highly recommend Javier as your tour guide. Somos Albert y Anna, los chicos que hacían autoestop en la carretera hace 5 días. Gracias por parar, llevábamos un rato bajo la lluvia y no sabíamos cómo llegar a Tamarindo. I truly can’t say enough good things about Javier and LovingCostaRica! Javier was recommended to me and my boyfriend by a friend and he exceeded our expectations by a landslide. He took us on a canopy tour, tubing, mud painting/hot springs and it was the best day we had on our entire vacation. He is incredibly knowledgeable and takes care of every detail for you. He was definitely the difference in turning a great trip into an amazing experience. He is also an unbelievable photographer and he took our camera for us and took fantastic photos that I never would have been able to get otherwise, had it not been for Javier. Javier – We can’t thank you enough!!! We will definitely be recommending you to all of our friends travelling to Costa Rica!!!! I can’t say enough good things about Javier. My husband and I traveled to Costa Rica to celebrate his birthday, and our adventures with Javier were definitely the highlight of our trip. We felt like VIPs the entire tour, and the other members on the tour (through a different tour company) were asking for Javiers info by the end of the trip since he made such a good impression on them! We ziplined, rode horses to a waterfall, mud bath, and hot springs. This was the best day on our trip, I will certainly be recommending Javier to any friends and family who travel to Costa Rica! Thanks Javier! Javier is great, I work in the travel industry in Costa Rica and have recommended many people to EZ travel Adventure and Javier has exceeded their expectations and my own. For sure he is the one to use if you are coming to Costa Rica. Being a local in Guanacaste and an expert in many parts of the Country makes for an awesome vacation. Plus he is a very fun person to be around. 100% recommended. Great Job Javi…. Javier is a great tour guide. He is very knowledgeable about the culture & history of Costa Rica and Central American Countries. We had a great time on our visit to the Water Falls, Arenal Volcano, Mavericks Restaurant and the German Bakery. I only regret that we were not able to use you for other excursions. We had a great time and recomend Javier to anyone who is needing a guide. A added bonus is Javier’s pleasant personality. Great job!!! Thanks for the opportunity that you gave us to explore the many ecosystems and sites of Costa Rica. Your knowledge, congeniality and desire to provide us the opportunity to see as much as we could was greatly appreciated. You went above the expected to show us much more than we could have expected. We look forward to more tours when we return to your beautiful country. We especially enjoyed Los Lagos near Mt. Arenal. Thanks again. © 2008 Theme Demo. .